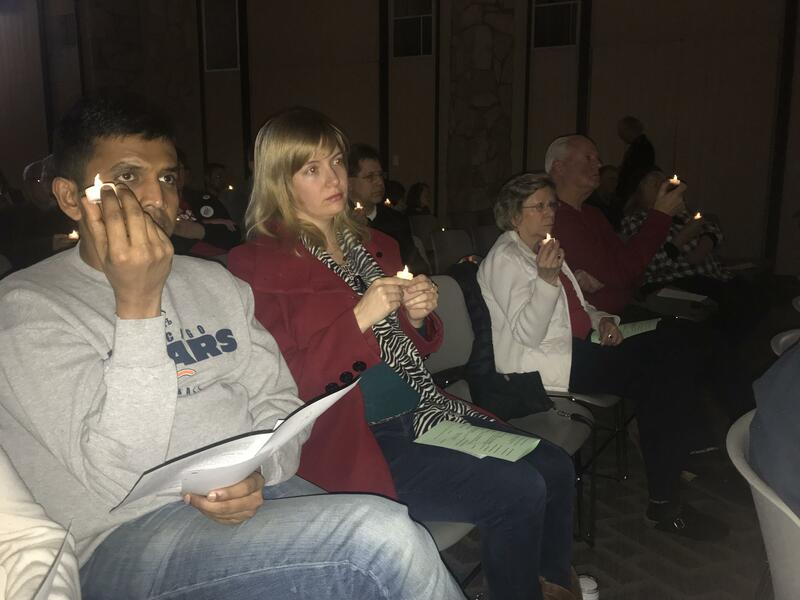 Nearly 200 people attended a vigil in Bloomington to mark the sixth anniversary of the gun massacre at Sandy Hook Elementary. Nine people have died in Bloomington-Normal in gun violence this year. More than that tally have survived bullet wounds. The group Moms Demand Action for Gun Sense marked the sixth anniversary of the Sandy Hook school massacre with a vigil Sunday at St. John's Lutheran Church in Bloomington. They also read the names of the Twin City residents who have died in gunfire this year, who are among the nearly half a million people in the U.S. who have died in gunfire in the last decade. They are: Joseph Gardner, Reginald Heart Jr., Taneshiea A. Brown, Stephen C. Alexander, Nate Pena, Corey D. Jackson, Juan Carlos Perez, Travonte D. Kirkwood, and the most recent, 20-year-old Egerton Dover. During the vigil mourning the victims of gun violence in the Twin Cities and the rest of the nation, participants held up lights against the darkness. Robin Cashen said she knew three of the young men from her Bloomington Junior High School job as a social worker and counselor who routinely talks to kids about what they want to do with their lives. "These young men had their hopes and dreams violently stolen from them. One of the young men had just turned 18, barely an adult. He will never never get a chance to fulfill those future plans," said Cashen. She also noted two of the nine were new fathers themselves. Rabbi Rebecca Dubowe noted that the U.S. has a gun violence rate 25 times higher than other developed countries. "Enough is enough," said Dubowe. West side pastor Andrew Held told the crowd that even during a meeting on what to do about the gun violence, shots rang out and a young man came running by, shot in the shoulder. Held said not only do laws need changing, adults need to help young people make different choices. Held said at the funerals and vigils he has attended this year, there are siblings and mothers, but no men. "We need loving caring adults to spend time with these youth, not programs. We need you. What are you going to do? After you heard those names, what's next?" said Held. Held said when he officiated at the funeral of Stephen Alexander, both Alexander's father and brother attended in handcuffs on temporary release from incarceration. He urged people to get involved with existing programs like the ones at Western Avenue Community Center. "If it's that serious, we need to abandon all other things that are a distraction to keep these young people from making poor choices. Vote, yes. But the kids I serve get into trouble each week. That's at the heart of the issue," said Held. Tammy Mance's daughter Haley sang a song at the vigil. Tammy Mance said she thought her daughter might pick something uplifting that would offer hope. Instead Haley picked the song "If I Die Young." Tammy Mance said that is a wakeup call and it breaks her heart that her daughter is not the only young person who thinks about dying. 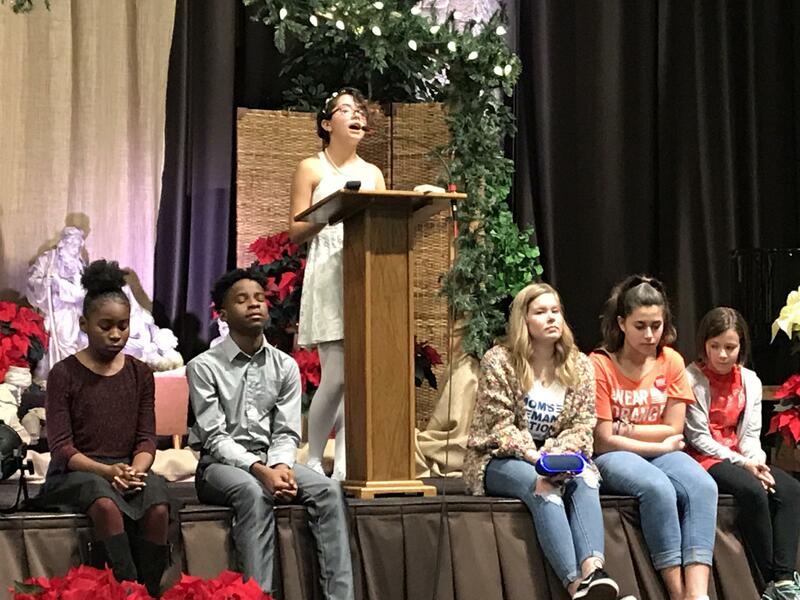 "Instead of our children wondering what they will be when they grow up, our children are wondering if they will get the chance to grow up, and that's just not right," said Mance. Moms Demand Action For Gun Sense formed in 2017 in response to the shooting at Parkland High School in Florida. GLT's report on Sunday's event. Authorities have identified the man gunned down on a Bloomington street Tuesday night as 27-year-old Trevonte Kirkwood of Bloomington. A local Black Lives Matter group is holding a rally Friday at Miller Park to address recent violence in Bloomington-Normal. A Bloomington pastor has started a conversation on gun violence that he wants to take beyond the church's walls.